Where’s the rain coming in?? So when I bought my ‘86 a year ago I took the advice of the fine folks here at CC and pulled the carpet out to see what the floors looked like. The drivers side was not great but nothing a grind and some Por-15 couldn’t fix. 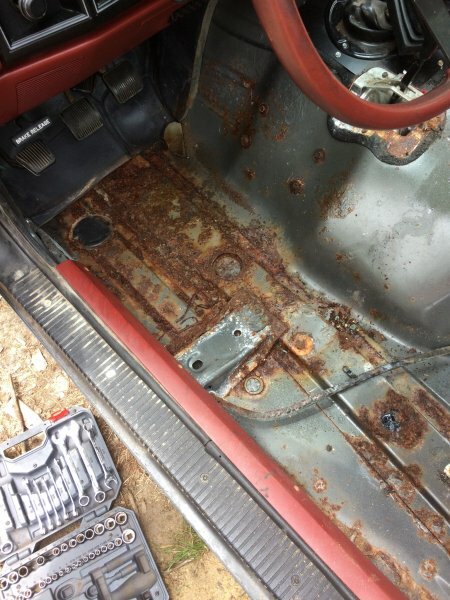 The passenger side had very little rust. I then took ATV sealant to the plasti-chrome windshield trim and around the base of the antenna. Recently I started noticing water puddling on the passenger side floor, and none on the drivers side. So I pulled the carpet again and did the baby powder test to see where the water might be coming from. This morning we had an hour of thunderstorms and then I went out and checked the floor and here’s what I noticed. Judging from the areas pointed at by the arrows, any idea where the water is coming in from? the drivers side of my 86's windshield was leaking up at the roof and the water was traveling down inside the A-pillar and dumping out similar to what you see there. Mine was the windshield too. Just got a new one with the rubber gasket, problem seems to be solved. Mine also puddled on both sides. That's a pretty characteristic spot for either a windshield or antenna grommet leak. The antenna grommet will be easy to see by removing the kick panel trim. there is no end to the battle. every single thing that could possibly leak has leaked for someone at some time. 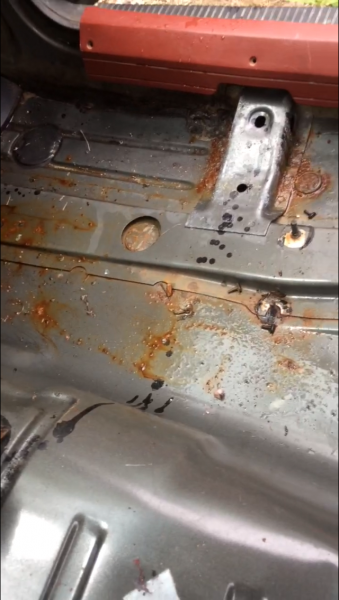 firewall grommets, crumbling HVAC foam seals, cowl drains, door seals, rear window, missing plugs in the floor, etc. It's something we all have to stay on top of. At this point, I have to assume that the MJ was designed to leak water, and that all of our trucks are actually working as intended. I mean, think about it. Why else would you use an unsealed connector at the wiring harness bulkhead? Why else would you use crumbly foam gaskets for all of the massive holes in the firewall for the HVAC? 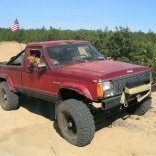 Why would you use a crappy, thin grommet for the antenna that wallows out and lets water run right down the antenna cable into the cab? Why would you design the firewall in a way that seemingly directs water towards possible leak points? 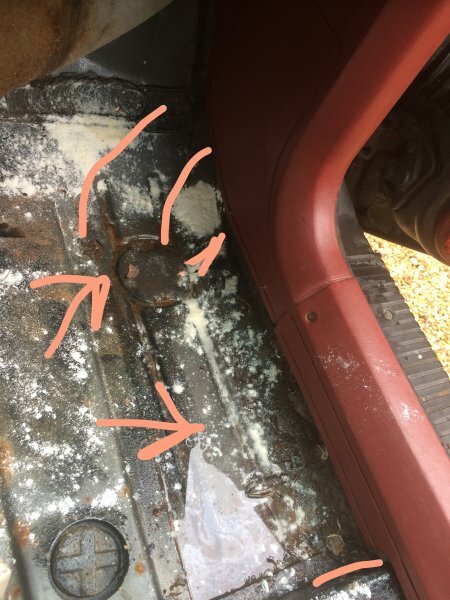 I've never heard of a vehicle that has as many problems with water leaks into the interior, and in as many different places, as the early XJ and MJ. My leak was there windshield. From what I could tell it was factory and they weren't too worried about installation. Mine had two doors the urethane was almost not there and spots that were extremely think and wide. One spot was not attached at all one the drivers side. There are drain plugs in the floor pans already.